Today's featured artist has a LOT of patience. Her beadweaving work is absolutely beautiful. She is appropriatly a member of Etsy Beadweavers Street Team (check out their blog). As you can see from the bracelet above, she puts some time into her work. I think the colors in this bracelet are very soothing. 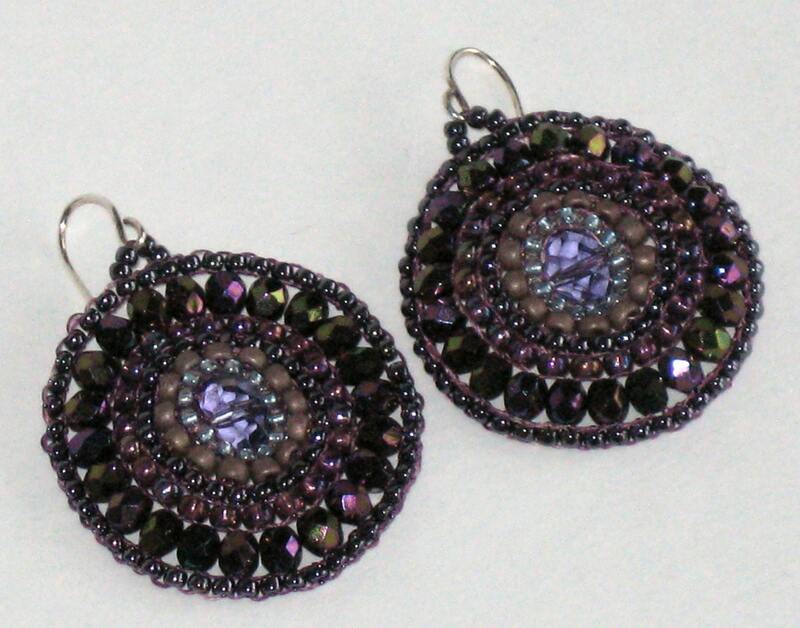 These earrings are another example of her bead weaving work. I am a little partial to purple, and I think these are also very beautiful. Seriously, I cringe at the thought of working with such tiny beads, but I do admire those that can do it! So go check out Ann's shop to see some beautiful bead work, as well as other necklaces, bracelets, and brooches to name a few. Wow, Anne's beadwork is lovely. Thanks for sharing! Nice picture of a jewelry. Lovely bead work Anne. Hope to see more design and creativity of your jewelry. I love to revisit your blog. Thank you for sharing.